Overnight Chile Eggs is a simple breakfast dish that’s not just for holidays any more! 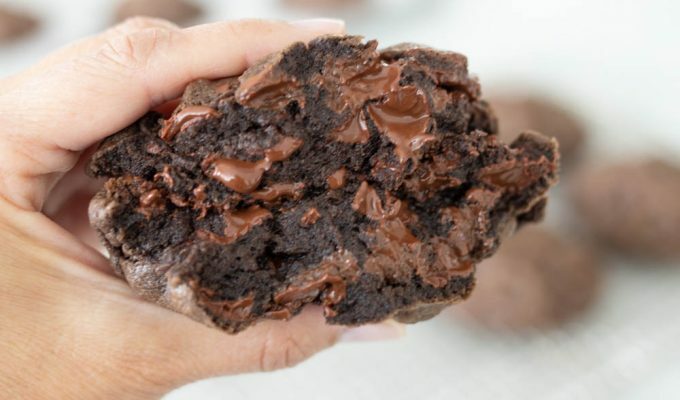 This recipe is easy to put together and bake for breakfast, or even dinner on weekdays. Not just for special occasions! Once upon a time, overnight breakfast casseroles were saved for special occasions or weekend brunch. 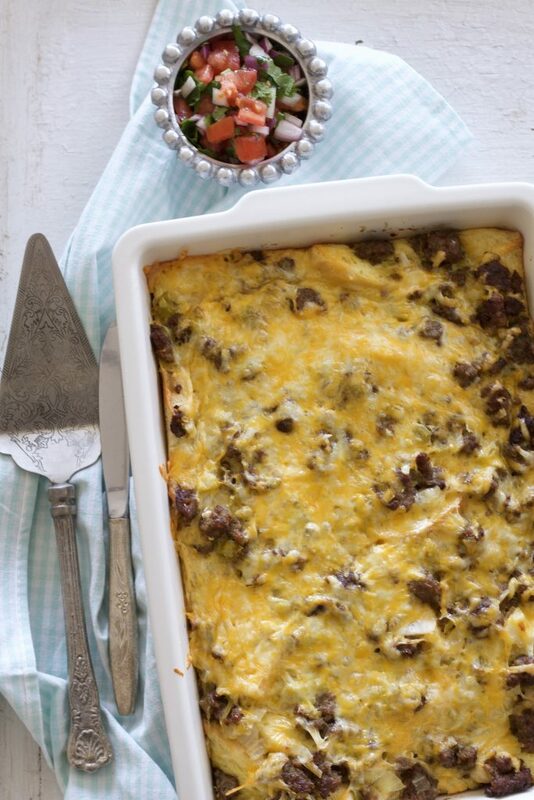 Typically made of white bread, eggs, cheese, milk and various other toppings – overnight breakfast casseroles are kind of a lazy day quiche. This recipe for Overnight Chile Eggs is one of the easiest recipes you’ll ever make. It takes just minutes to throw together, either the night before serving, or just a few hours ahead of time. I love to eat a slice of overnight Chile Eggs for lunch the day after baking. It heats up like a charm in the microwave and topped with salsa, tastes just as good as the day it was made. If you are planning on serving Overnight Chile Eggs for dinner, I like to break out the chips and salsa and make a simple green salad on the side. This Black Bean and Corn Salsa is also a favorite in our home. The chiles in this casserole are canned, which makes this recipe come together in a snap. You can make Overnight Chile Eggs with white bread or rolls that have been torn apart. When buying bread, I like a thick slice of bread, my favorite is Grandma Sycamore’s but any brand will do. 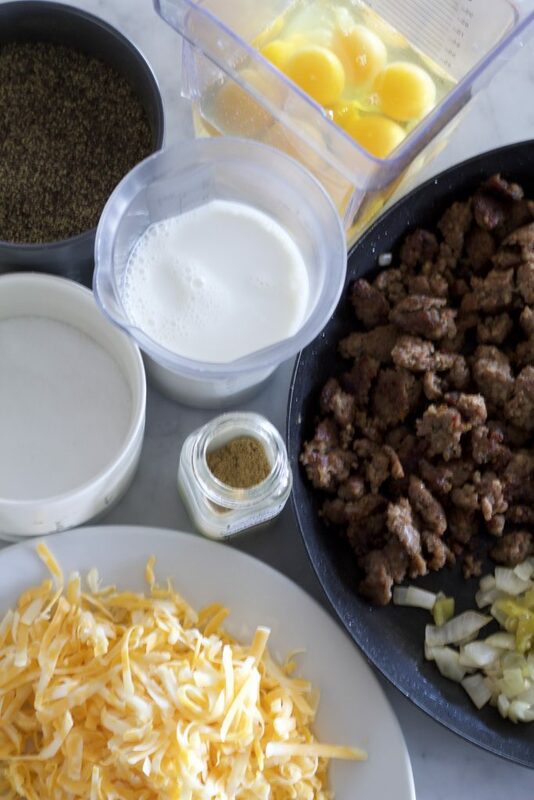 I use Jimmy Dean Pork Sausage for the meat, because I almost always have some on hand in my freezer. If you’re going meatless, you can simply omit the sausage or use 2 cups of seasoned, sautéed veggies instead. I like sautéed spinach, mushrooms, green onions, chopped zucchini or red pepper. Overnight Chile Eggs or Baked Chile Eggs? We have been making Overnight Chile Eggs for years. I’m not sure of the original source, because it was written on a piece of paper that has been in my “Breakfast and Brunch” notebook for a long time. Overnight Chile Eggs have been a favorite dish for Christmas or Easter for years. One year, I forgot until Christmas morning to make the recipe. Yikes! I decided to go ahead and assemble the casserole and let it sit in the fridge for an hour before baking. Guess what? It worked out the same as if I had made it the night before. So the “Overnight” is not really necessary in this dish, which also makes it perfect for dinner! You can prepare this when you have a few minutes, after the kids are off to school, at noon or at 4:45. Assemble, refrigerate, bake at 5, dinner at 6. Yay! You just beat the dinner crunch! And you can serve any leftovers for breakfast the next morning. Saute sausage in pan until cooked, break up into chunks, not small pieces. When completely cooked, pour meat in to a pan lined with paper towels, and let all of the excess grease drip out of the pan without wiping out the pan. Press the meat with paper towel to absorb grease. Set aside meat. Using the same pan, sauté the chopped onion in the remaining drippings from the sausage. Pour the onions on top of the meat. In large bowl or blender, beat the eggs. Add milk and seasonings to eggs. 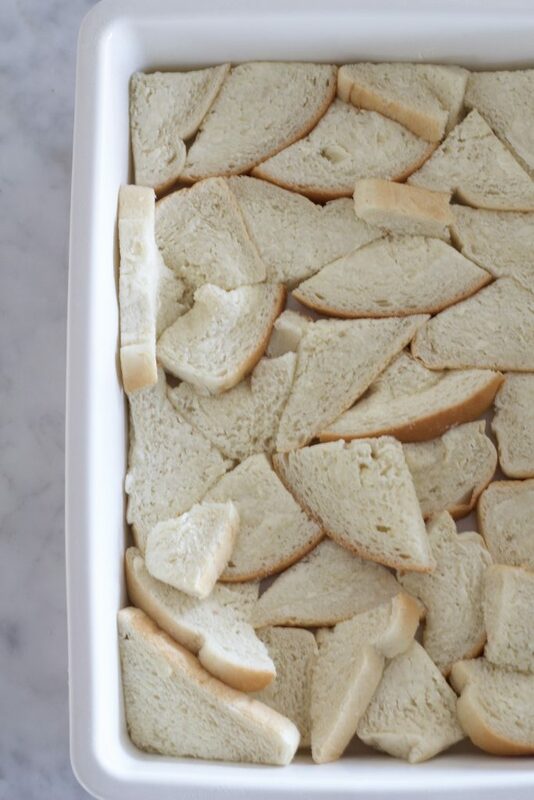 Butter all of the bread on one side (optional), cut or tear into pieces and lay into a greased 9x13 pan. Layer the cooked sausage, onion and green chiles on top of the bread. Pour the seasoned eggs over all. If you like a little color and flavor, top with salsa (about ½ cup) drizzled over cheese. 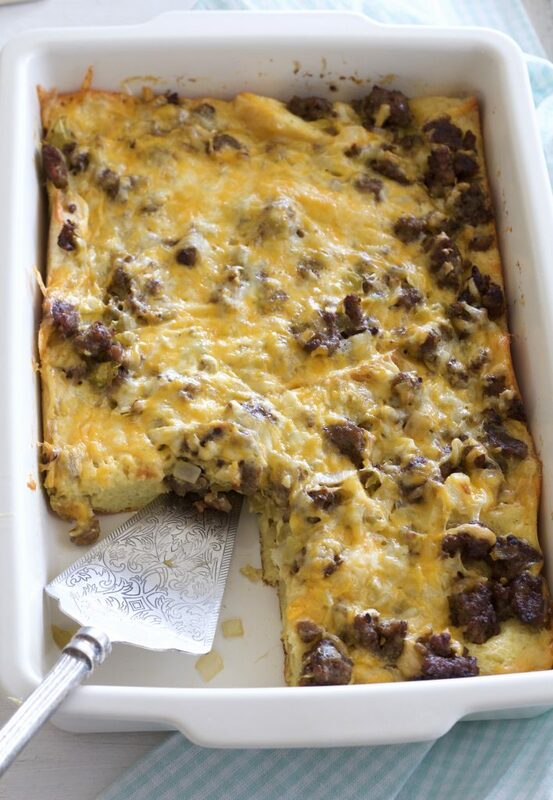 Cover casserole with foil or plastic wrap and place in refrigerator overnight, or at least 1 hour. Bake uncovered at 300 degrees for 1 hour, until puffed and golden brown.